The creation of MŪN Skincare (pronounced 'moon') was co-founded by makeup artist Munemi Imai a few years ago, and her passion for green living lead her to envisioning a natural line. While traveling and learning about ingredients, she had a remarkable experience with using Prickly Pair Oil while on a trip in Morocco, where MŪN sources this oil from a local co-op of women. 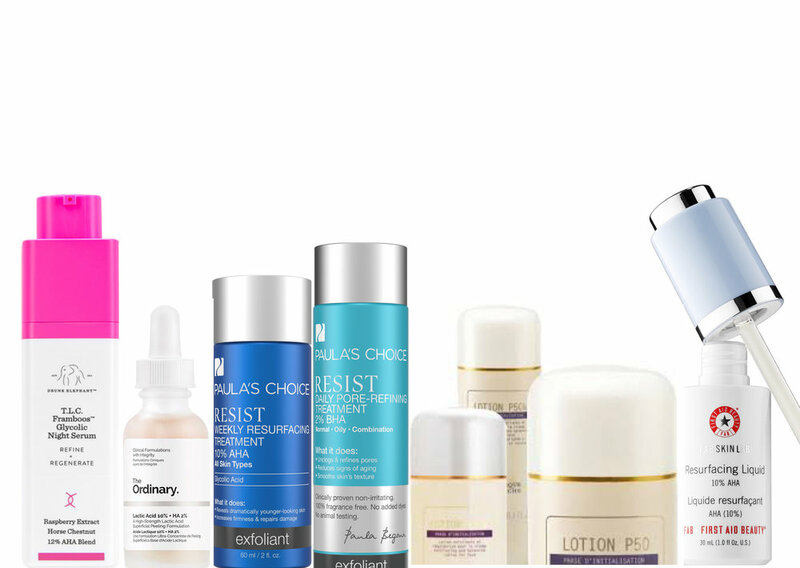 The line currently consists of five stellar products: cleanser, toner, serum, multipurpose oil, and a body serum. Every ingredient serves a purpose. There is a travel set available also, which is a great way to introduce these beautiful products into your routine. -Review: I ADORE this cleanser, and it smells so lovely, you'll have a hard time wanting to rinse it off. Sometimes you find those cleansers that are so uplifting, this is one of them. The pH is slightly acidic, I tested it at about a 4.9. This dissolved even stubborn waterproof makeup easily. All skin types can use this- although it does leave the tiniest nourishing feel if you don't use a gentle muslin or washcloth. Perfect for a first cleanse for oily skin (or use a cloth with it) or as your one and done cleanse for normal to dry skin. This uses gentle cleansing agents derived from coconut in a base of soothing and nourishing antioxidant oils, truly a beautiful product. -Texture & Smell: Liquid watery texture, rose scent (obviously!) which doesn't linger, dries quickly but leaves skin velvety soft. -Ingredients: De-ionized Water, Rose Hydrosol* (Rose Water), Aloe Barbadensis (Aloe) Leaf Juice*, Maltodextrin, Opuntia Ficus-Indica (Prickly Pear) Stem Extract, Lycium Barbarum Fruit (Goji Berry) Extract, Hyaluronic Acid, Salix Alba (Willow) Bark Extract*, Rosa Centifolia Flower Extract, Jasminum Officinale (Jasmine) Flower Extract, Bellis Perennis (Daisy) Flower Extract, Lanthaan Gum, Vegetable Glycerin, Dehydroacetic Acid, Benzyl Alcohol**. *Certified ORGANIC **The Benzyl Alcohol is a naturally occurring ingredient derived from essential oils of Ylang Ylang and Jasmine. It is an aromatic alcohol that functions as a preservative, which is necessary for any product containing water and/or hydrosol to prevent mold, bacteria, and microbial growth. -Review: This toner is a ph of 4.5, and it goes above and beyond your traditional rose toners and mists. Mun uses organic rose hydrosol as the second ingredient, but also includes many other hydrating, soothing and anti-aging ingredients like prickly pear and goji berry extracts (antioxidant), hyaluronic acid (hydration), and willow bark (a plant based gentle exfoliant). Hydrosols are very different from an essential oil which sometimes can be irritating for certain skin types, they have the same constituents but very different ratios. Since hydrosols are 99.95% water, they are safer than essential oils in regards to possible sensitivity. This does contain 3 flower extracts: Jasmine, Daisy and Rosa Centifolia, all which absolutely have skin benefits, but if you have strong allergies to flowers, do a patch test first. -Texture & Smell: Clear yellowish tint oil, light texture, hearty rose scent. -Review: This oil cocktail soaks in quickly, and leaves a beautiful finish on the skin. The rose scent does linger on the skin, so if you are a fan of rose, you'll adore this. Prickly Pear is an antioxidant oil rich in amino acids (boosts collagen), omegas, and vitamin K. Second is Argan oil, another antioxidant oil rich in lipids and fatty acids. The final ingredient is organic rose oil which gives this serum its scent. Mun uses an organic steam distilled rose oil sourced from Bulgaria, which is where the world's best rose oil comes from- and most likely which contributed to the cost of this product. There is research to show this high quality oil to have antimicrobial, antibacterial, and antioxidant properties. I love this for under eyes also! -Review: The first five ingredients are powerhouse antioxidants with incredible soothing, repairing, anti-aging and hydrating properties which absolutely will improve the appearance of your skin. The last four ingredients are essential oils, which not only give this body serum it's amazing smell but have unique benefits for the skin. I like to apply products like this on slightly damp skin right our of the shower, skin feels very nourished after one use! -Texture & Smell: No noticeable scent. -Review: Argan oil contains multiple fatty acids, is a good source of vitamin E, and functions as an antioxidant. This could be used anywhere on the body to hydrate- including hands, face, or hair. Your skin will obviously benefit from more than a single ingredient, however this could be used as a top layer anywhere you need extra nourishment. Anytime I see a brand on my instagram feed or in a magazine that I'm not familiar with, I'll immediately jump on their website and go straight towards the ingredient listing to see if there are any products worth looking into. More times then not, the initial excitement turns into disappointment - but oh how nice it is to be pleasantly surprised. After looking at a few of these products, my interest was piqued, and a sampler kit was ordered right away! And there you have it, from Irene's journey was born a gorgeous line of products with proven ingredients and without added fillers, fragrance, slip agents, parabens, or texture makers. This means every ingredient has a purpose. Samples are available, enough for about 4 to 5 uses. Products also come in .67 oz 'discovery sizes' AND 1 oz full sizes. I wish all brands did this! The serums have common similar ingredients, and I would confidently say any of them are good for all skin types. Oily or acne prone skin will love these, nothing will clog pores or let you feel greasy. Dry skin will get a boost of replenishing anti-aging ingredients all while calming and soothing. You can't pick the wrong one, although some are more geared towards aging skin. I consider all of these products safe for the upper and lower eye area. TAHNYC also make powders, one silk powder and three shades of pearl powders. I didnt try these but they look fabulous. Sets of serums for specific skin concerns are also available, which include two serums and an optional powder- and these also come in two sizes. The serums in the sets are actually slightly different formulas then the stand alone serums from my sampler kit, which I found a little confusing initially (!) since the ingredients in the sets are very similar to the other serums not in the set. If you are looking to fill a void in your routine, go with a stand alone serum, but if you want to try the line as a complete system, go with a set. Since these are truly great for any skin type, think about which ones to get based on age. -Ingredients: aqua, panthenol, n-acetyl glucosamine, lactobacillus ferment, tetrapeptide-21, glycerin, butylene glycol, acetyl tetrapeptide-40, caprylyl glycol, sodium hyaluronate, sodium pca. -Benefits: Panthenol is a type of B vitamin pantothenic acid, excellent for attracting and holding moisture. N-acetyl glcosamine brightens, increases moisture AND is anti-aging. Lactobacillus ferment is antimicrobial and a skin conditioner. Two peptides for anti-aging. The glycols are skin conditioners. Glycerin is an awesome humectant. Pca hydrates and replenishes skin. Sodium Hyaluronate is a skin replenisher and skin restorer. -Ingredients: aqua, n-acetyl glucosamine, panthenol, niacinamide, sodium hyaluronate, lactobacillus ferment, sodium pca. -Benefits: Similar to above, but without the peptides and the addition of niacinamide. Niacinamide is one of those 'does almost everything' ingredients, it's a form of vitamin B3, which can help pore size, plump wrinkles, and even out skin tone. -Benefits: Very similar to B Complex but with a higher amount of sodium pca, so I would consider this more geared towards younger skin types that don't need as much anti-aging. -Benefits: This is a multi peptide serum, five in total. Plus skin restoring and replenishing ingredients like the panthenol, glycerin, and sodium pca. Great anti-aging serum for fine lines, I especially love this for oily or acne skin types that still want anti-aging ingredients. -Benefits: This serum is a peptide powerhouse! Plus a dose of niacinamide and sodium hyaluronate. This is more suited for serious wrinkles and all signs of aging. -Texture: Its the lightest oil, soaks in fast, leaves skin a little dewy. -Ingredients: Just one: Premium wildcrafted refined organic jojoba oil. -Benefits: Jojoba is rich in fatty acids, soothing, nourishing, and won't clog your pores. It's so lightweight. I would use this anywhere you need a little extra moisturizing protection. For us oily skin types, I love this under the eyes and over the lips. This is an amazing brand doing something really unique, and rarely am I able to say that every single product in the line is formulated beautifully. About the brand: Founded in 2015 but Singaporean Nicolas Travis, and launching in the US this past October, this streamlined skincare system has a simple goal in mind: to create smart, multi-tasking products for modern life. Currently there are three products in the line, a AM leave on mask, a toner mist, and a PM mask. The 'masks' are left on, but applied just as you would any moisturizer. I like that they call these masks, because you get such a huge dose of antioxidant protection, that they really do shield your skin! Who are these products for? All skin types and all ages— especially dull, dehydrated skin. This line feels (and is) truly unisex, and I would think very appealing to men with the black luxe packaging. If you have dry skin, try spritzing the toner on top of the masks. For uber dry skin, you may feel the need for an oil or cream on top. All these products are safe for the eye area, and should be used in the eye area. Makeup applies nicely on top. How much is it? The three piece full size kit is $205 USD. All items are 1.69oz. The 1A All-Day Mask is $89, the 1A Overnight Mask is $109, and the toner is $55. Where can I find it? In the states, at SpaceNK (in store or online) and through the Allies of Skin website. Whats NOT in it: silicones, mineral oil, petrochemicals, parabens, sulfates, GMOs. triclosan, DEA/TEA, alcohols, phthalates, fragrances or dyes. Vegan and 100% cruelty free. Texture and Smell: The toner is a mist liquid which dries quickly, has a mild fresh rose scent from the rosewater, which takes about 10 minutes to fully dissipate. The AM mask feels more like a thick serum, has no scent and dries soft but radiant. The PM mask has mild herbaceous scent, is slightly more moisturizing then the PM, but no tackiness or stickiness, and also dries soft and matte. Helps balances skin’s PH levels. Soothes and calms stressed skin. Provides a heavy dose of healing hydration. Reduces non-inflammatory acne lesions by 42.7% in 28 days. Hydrates and repairs tired, worn-out skin. Increases natural production of collagen and elastin. Soothes skin while reducing redness and calming inflammation. Reinforces skin’s barrier and reduces Transepidermal Water Loss (TEWL). Protects and purifies skin against pollution, heavy metals and cigarette smoke. 36% reduction of non-inflammatory acne lesions (closed and open comedones) after 4 weeks of daily use. Nutrient-rich reservoir that plumps skin with healing moisture and nutrients throughout the day with over 35 powerful actives. Speeds up cellular renewal rate. Protects skin from dehydrating conditions. Anti-glycation protection to maintain fresh, supple skin. Reduces non-inflammatory acne lesions by 67.2% in 28 days. Ameliorates the appearance of acne, hyper-pigmentation, fine lines and wrinkles. Nutrient-rich reservoir that harnesses the skin’s most optimal repair period to heal and rejuvenate stressed, problematic skin — improving pore size, radiance and skin texture. Shamanuti is a brand from Massachusetts with a focus on organic plant-based ingredients. The prices are affordable and they have sample kits available for you to purchase before investing in full sizes- something I wish all companies would offer! You can check those out here. From the items I tried, these are my favorites from the collection..
Face mists, toners, and basically any liquid product I can spritz on my face are my favorite category of skincare products, so I had to try this out first. You can use this on any part of the body, but your face (no matter what skin type you have) will love it. Organic aloe is the first ingredient which is soothing and refreshing, followed by organic kelp and algaes which act as water binders and antioxidants. Other highlights are the hyaluronic acid, an effective hydrator and black willowbark which is an anti-bacterial. This has a subtle sweet scent that evaporates quickly. This face oil is only six ingredients, but they are all superstars! Inside the glass amber dropper, is primrose which is skin-soothing and hydrating, followed by cranberry seed oil- which has potent antioxidant abilities because it is a rich source of polyphenols. Jojoba is a skin soother, with skin restoring properties, and the meadowfoam oil is superbly hydrating. Finishing up is the major antioxidant vitamin E and nourishing carrot oil. The smell is reminiscent of opening a bottle of new vitamins, but nothing offensive, and goes away within a minute. This oil blend soaks in quickly and is beneficial for even the most sensitive skin & around the delicate eye area. I'd use whatever is left on my fingertips to massage into my cuticles, double duty! Housed in an amber glass bottle with a dropper applicator, this serum has a faint herb smell that fades quickly. The base is a rose distillate, aloe, and vegetable glycerin. (Note: Rosa Damascena could potentially be irritating in an oil form, however this is a distillate so I consider it safe and beneficial when used in this small amount.) Next we have DMAE for skin firming, Meadowfoam Seed Oil for skin conditioning, and Bilberry as an antioxidant. Sugar cane and sugar maple are supposed to be a gentler alternative to alpha hydroxy acids, however I couldn't find much data to support that claim- they are however wonderful humectants. Orange, lemon and cranberry extracts are next; orange and lemon aren't my favorite ingredients due to the potential risk of irritation and senstitivty to the sun, even though the amount used is small - I would still sample this before investing in a larger size to make sure your skin likes it. The rest of the ingredient list reads great: glucolactone (improves cell turnover), coQ10 and alpha lipoic acid (anti aging antioxidants), Vitamin A (has dozens of benefits) and niacinamide (brightening). Due to the vitamin A and citrus extracts, I would use this at night only. The texture is very light, soaks in quickly but skin is left feeling nourished. Very dry skin may like a face oil or cream on top of this. This milky lotion liquid hybrid comes in an amber glass bottle with a pump, and has a delicate floral scent. It is in a base of soothing aloe and nourishing coconut oil. Hibiscus, rose hip, and elder flower are antioxidants that also work to support capillary strength, calm and condition the skin. A great mix of essential vitamins and amino acids round out this formula to make it an excellent option for normal to dry skin. This eye gel comes in a dark green opaque plastic bottle with a pump applicator. The base is a soothing aloe and glycerin. Next up is the witch hazel, its an astringent antioxidant but can be sensitizing when used regularly, so I'd save this to use just a few times a week instead of daily. Cranberry seed oil is a rich source of polyphenols with as skin-restoring benefits and chamomile and cucumber are excellent anti-inflammatories. Try keeping this in the fridge for even more depuffing action, or even as a cooling eye mask. Another mist, but this one I would keep for body only, as this contains a high amount of peppermint which could irritate the face/eyes. I loved this as a body and foot spray, especially after a hot day, it was refreshing and cooling. This is in an organic aloe base, with added skin soothers and antioxidants. A body lotion in a spray bottle, very neat! This is packaged in a hard plastic bottle with a spray top. The scent is a subtle orangey floral, most likely from the Neroli Hydrosol, which does linger a little. The texture is perfect, not oily, but not overly creamy or sticky, this is a true lotion texture. The ingredients tend to separate but a quick shake blends it all back together. Following the base of refreshing and soothing aloe and coconut oil, is the rooibos tea extract (a calming antioxidant) and some more plant based hydrators. This is fun to use and smells lovely.